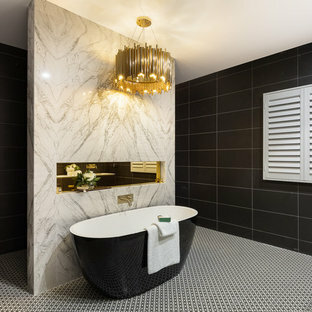 Design ideas for a contemporary bathroom in Brisbane with black cabinets, a freestanding tub, black tile, an integrated sink and multi-coloured floor. 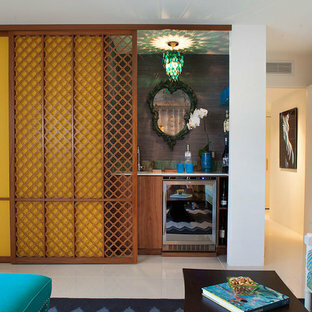 Design ideas for a midcentury home bar in Los Angeles. Modern living room in Toronto with white walls. Modern living room in Orlando with a music area, medium hardwood floors, a standard fireplace and a stone fireplace surround. 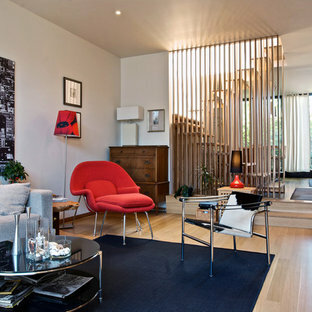 Inspiration for a mid-sized scandinavian living room in Sydney with white walls and light hardwood floors. Tropical guest bedroom in Charleston with white walls, medium hardwood floors and no fireplace. 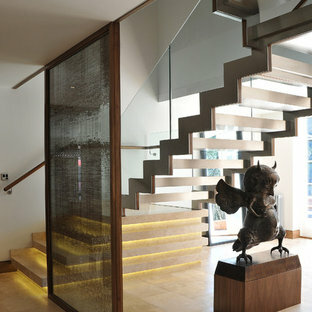 Photo of a mid-sized contemporary floating staircase in London. 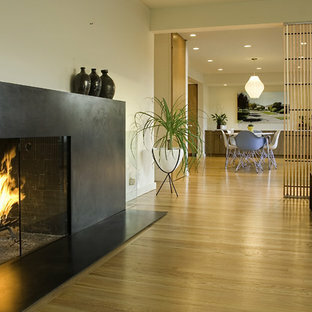 Photo of a modern living room in Seattle with beige walls, a standard fireplace and a metal fireplace surround. 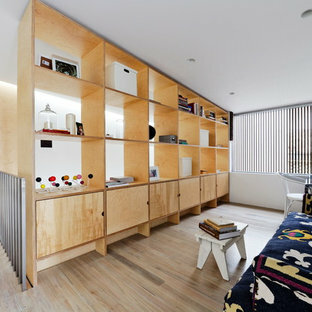 Photo of a contemporary bedroom in Other with beige walls. Modern home office in San Francisco with grey walls and light hardwood floors. Inspiration for a modern living room in Other with white walls and a wall-mounted tv. Photo of a contemporary dining room in Vancouver with grey walls and dark hardwood floors. Contemporary kitchen/dining combo in Denver with white walls, medium hardwood floors and a two-sided fireplace. 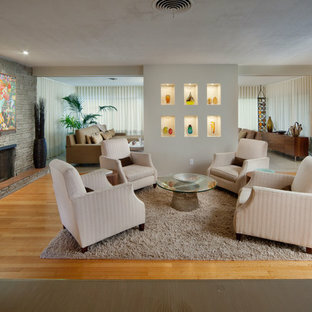 Inspiration for a contemporary open concept living room in Los Angeles with white walls. Photo of a contemporary living room in Ottawa with white walls, dark hardwood floors, a two-sided fireplace and a wall-mounted tv. Design ideas for a contemporary bedroom in New York with blue walls and medium hardwood floors. Modern bathroom in Ottawa with a vessel sink, flat-panel cabinets, medium wood cabinets and a freestanding tub.